Characters: Tono Minagi and Michiru. 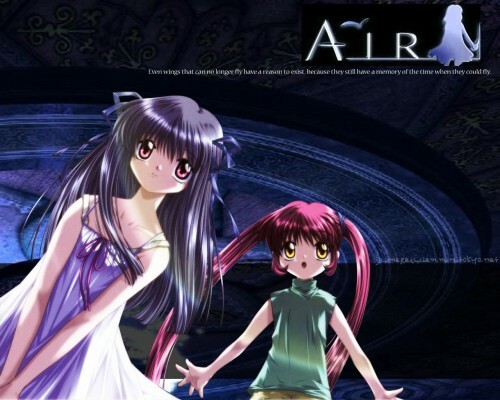 From the anime "AiR TV"
The words under the logo say, "Even wings that can no longer fly have a reason to exist, because they still have a memory of the time when they could fly.". Or the words that Yukito recited before Minagi before she left to see her father.